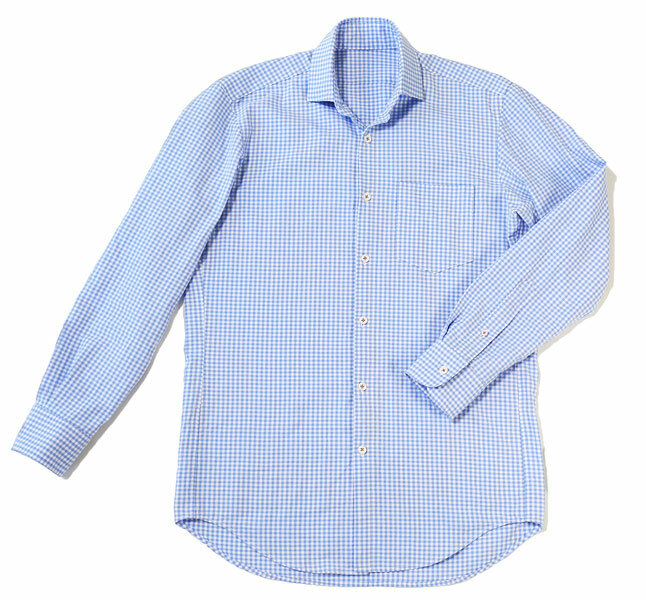 A men's wardrobe staple, this shirt is both versatile and polished. The pattern features many professional details like separate collar and collar band, tower sleeve placket, and collar and cuff facings to help you sew great looking (and fitting!) shirts. Share your photos on Instagram with the hashtags #alldayshirt and #lieslandco. 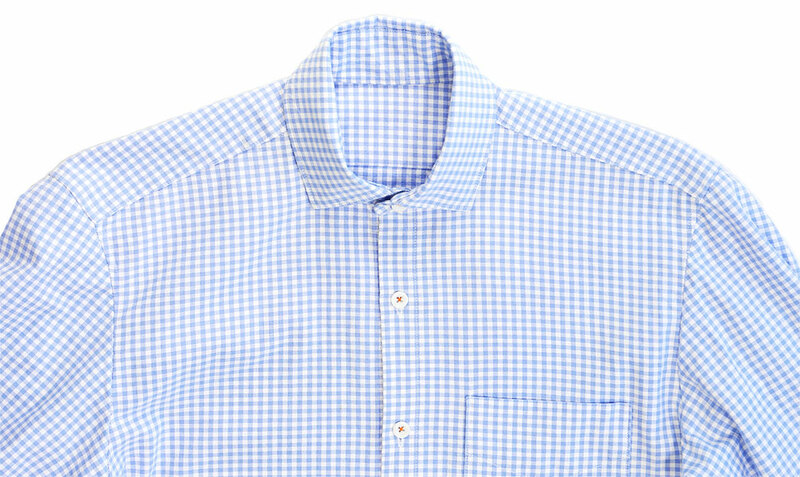 A men's wardrobe staple, this shirt is both versatile and polished. The pattern features many professional details like separate collar and collar band, tower sleeve placket, and collar and cuff facings to help you sew great looking (and fitting!) shirts. 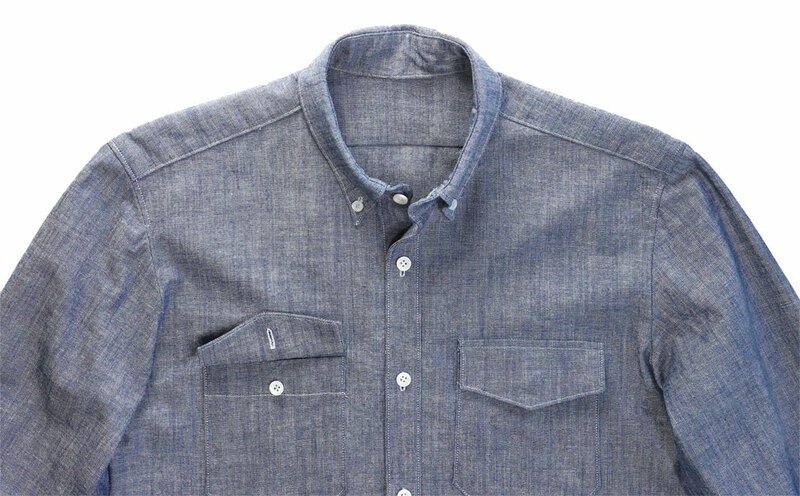 View A includes a continuous (cut-on) placket, dress collar with pockets for collar stays (and a template for making them), and a sharp-looking chest pocket. 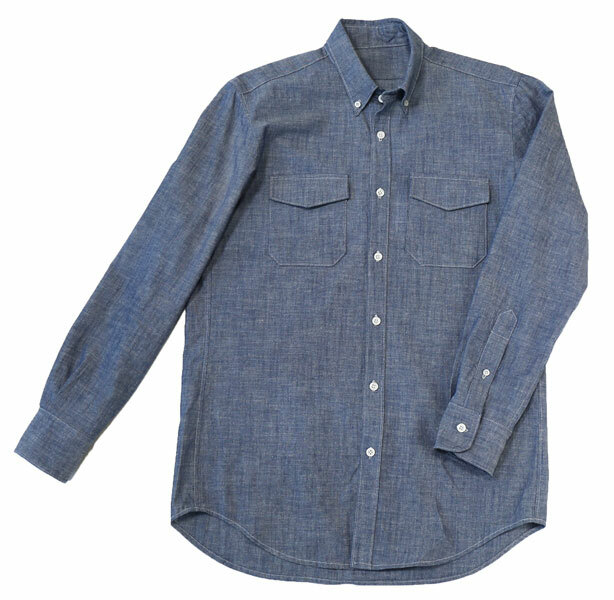 View B features a separate (set-in) placket, button-down collar, and workshirt-style pockets with concealed button flaps. Waist 36" 39" 42" 45" 48" 51"
Back Length* 30 1/4" 31" 31 3/4" 32 1/2" 33 1/4" 34"
Sleeve Length* 33" 34" 35" 36" 37" 38"
Neck 13 3/4" 14 3/4" 15 3/4" 16 3/4" 17 3/4" 18 3/4"
XS 32" - 34" 25"-28" 13"-13 1/2"
S 35" - 37" 29"-31" 14"-14 1/2"
M 38" - 40" 32"-34" 15"-15 1/2"
L 41" - 43" 35"-37" 16"-16 1/2"
XL 44" - 46" 38"-40" 17"-17 1/2"
XXL 47" - 49" 41"-43" 18"-18 1/2"
I decided this Christmas that I was going to make presents for my adult children. Although I have sewed since before they were born and as children, as they got older they did not want what I had made because it was a little "off". 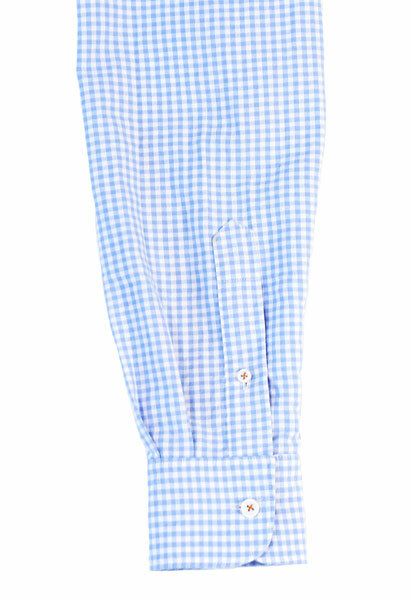 I had no intentions of constructing a men's shirt and then have it sit in my son's closet. 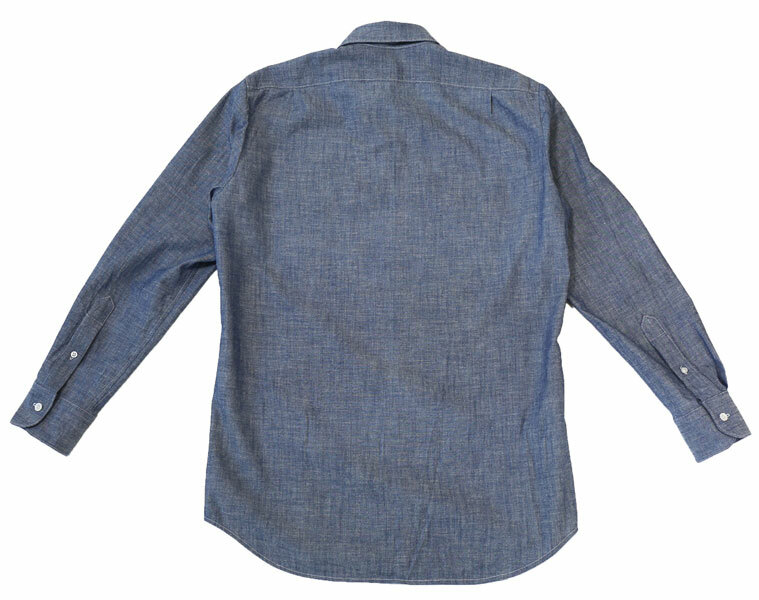 After reading the post on men's shirts in "sewing on the edge" i purchased the pattern as a pdf and used it. This is a terrific pattern. For novice sewers the instructions are clear, the method for the collar was not "fiddly" the way the big 4 are, and I was not forced to cross my eyes while trying to trace out a similar pattern from the Burda magazine patterns. I highly recommend this pattern. I, too, started out with the Classic Shirt pattern for myself, never having made a shirt before. It came out so great I decided, like Michelle above, to make the All Day Shirt for my husband. It's a great pattern and he loves the shirt. I'm working on my second one now. I'd give it a five except for one step that I'm still stuck on: attaching the collar band, step 4, where you fold back the placket and sew the two bands together. Whenever I do this I end up with the placket doubled over and sewn over itself between the two neck band layers. I posted a note on the Forum and did get an a response but I'm still confused. I've created a workaround so I still enjoy this pattern. 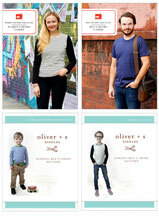 Great Starting Point for Multiple Shirt Projects! This is a great pattern to use straight off the printer or with your own modifications for personal taste. At 6'0" and 140 pounds, I used the medium size with no adjustments other than adding 3/4" to the neckband and stand length, and increasing the seam allowances on the armhole and side seams for flat felling. I made the button-down version with the open shirt pocket in a nice holiday fabric for a specific occasion, but I'll be making more, since I like the fit and overall proportions of the pattern. I made this shirt in a size small using corduroy fabric and it looks fantastic. I especially like the two pieces for collar and cuffs and the attachment method for both collar and cuffs. I modified by using flat felled seams and used a David Coffins method for setting in the sleeve - which gives a flat felled seam on the armscye - which I think makes the shirt look more professional. 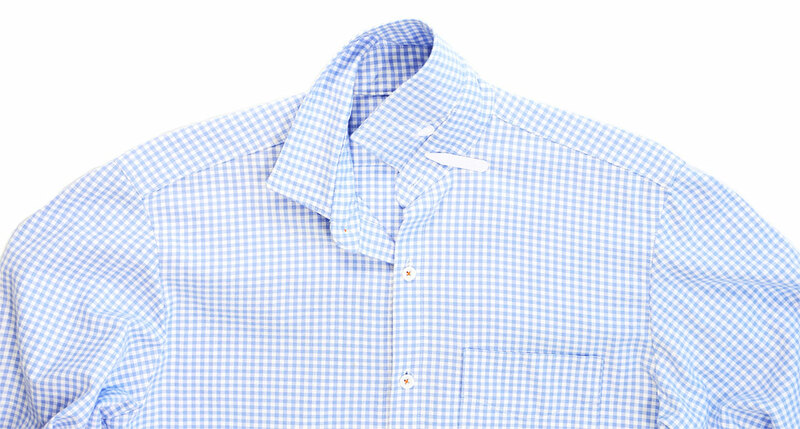 Great pattern and instructions that help elevate the shirtmaking result. Definitely the most advanced pattern I’ve attempted so far and I found it really concise and logical. I made a size small for my husband and it was completely a perfect fit. I followed the pattern completely to a T and it’s a wearable and impressive shirt! Will make again. Todo encaja a la perfección, las instrucciones son fáciles de seguir, y lis acabados propuestos, muy profesionales. Totalmente recomendable, como todos los patrones de Liesl. Best men's shirt pattern ever! I made this shirt from a fairly heavy flannel for my husband who is 6'6" and about 205 lbs. I sewed the large size and the only modification that I needed was to lengthen the arms by about 1/2". 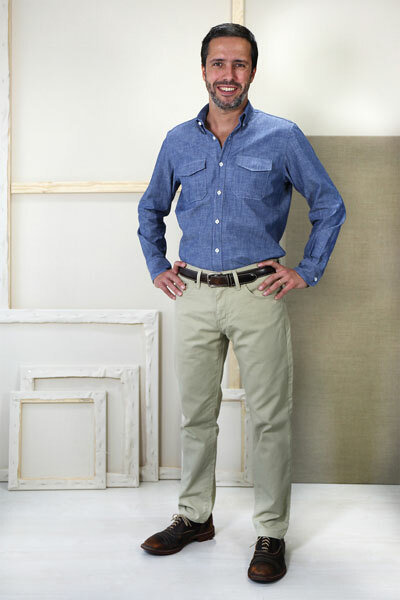 This pattern is fantastic- it has all the classic shirt details, and some great methods for getting better results on the collar, sleeve placket, and cuffs. 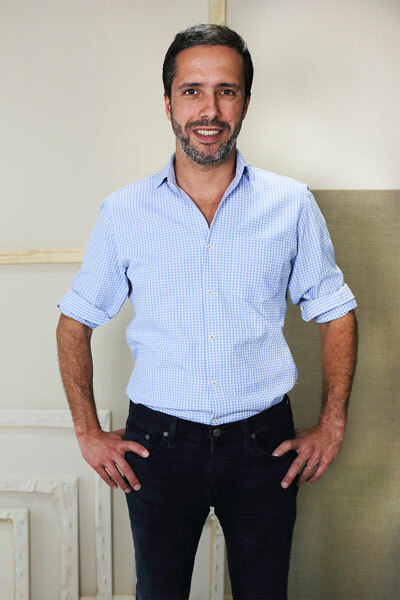 I've been making him shirts from the Negroni pattern from Colette for many years, but I'm going to switch to this pattern because I think it is much more carefully crafted pattern and I like the two-piece collar and separate button placket much better. Really happy to have found this one and I can't wait to make myself the women's version! I am surprised that this shirt pattern doesn't have more reviews, because it is just a wonderful pattern. It is well-drafted and the instructions are quite clear. A couple of things I particularly liked is the two cuff patterns, inner and outer, and the templates used at the end for marking buttonholes and buttons. 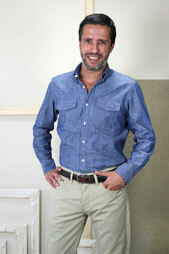 I have never had a button-down collar work out so well as this one did! 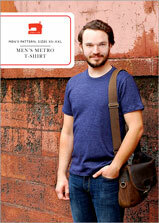 I am just delighted with this pattern and will be using it many, many times as my new basic shirt pattern for men. I am so pleased I found this pattern! 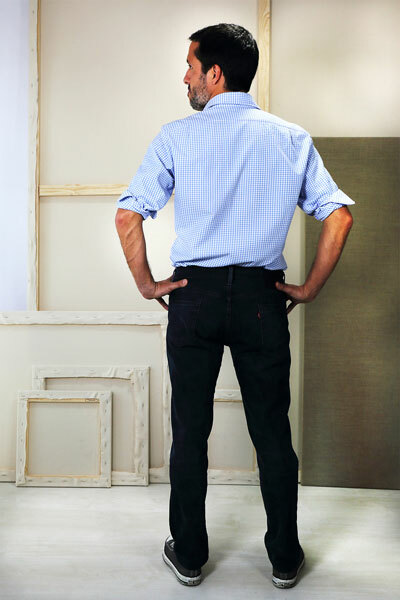 I was able to easily get a professional looking finish by following the easy, yet detailed, instructions. It is well drafted and adjustments were made easily too (I shortened the bodice and sleeves). I feel so proud of myself for being able to make my husband some work shirts that his colleagues have complimented him on. And I am no longer intimidated by sleeve plackets or collar stands! 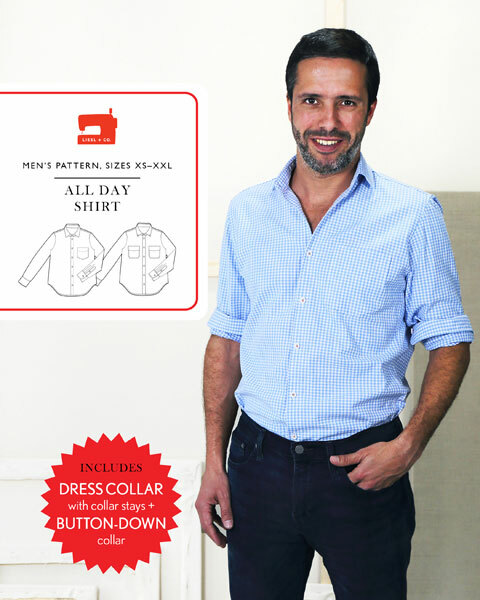 Discussion on the all day shirt sewing pattern from the Oliver + S Discussion Forums. Find and share more photos on Instagram using the hashtags #alldayshirt and #lieslandco.